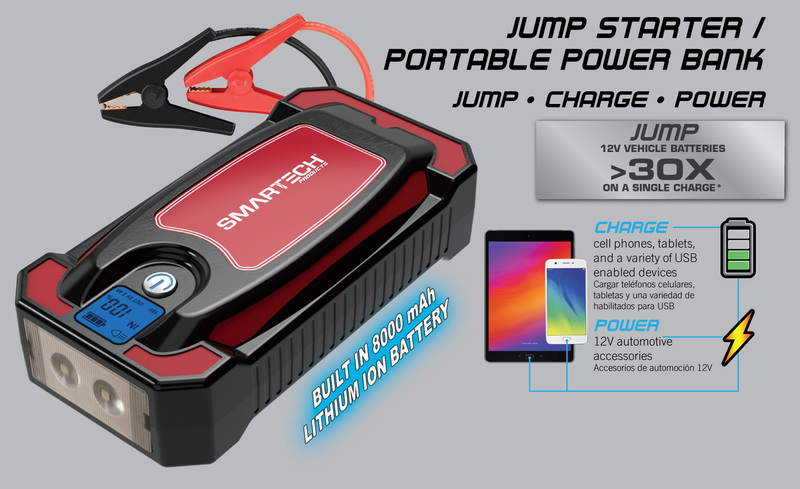 The JS-8000N 8000mAh Lithium Powered Vehicle Jump Starter/Power Bank is a powerful, portable device capable of jump starting automobiles, charging mobile devices and lighting your way through the dark. 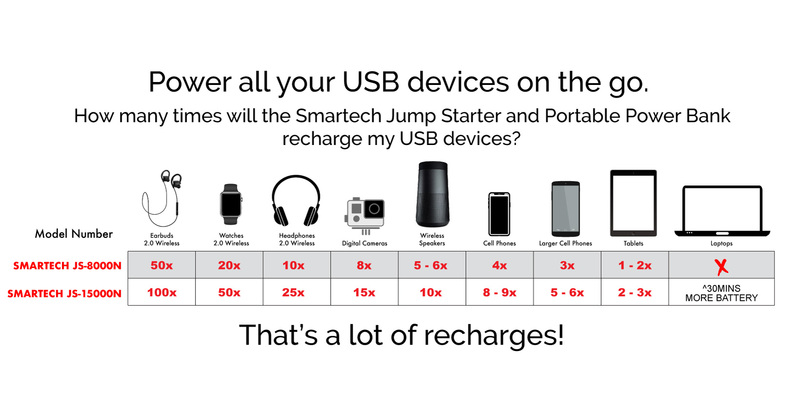 Only slightly larger than a cell phone, this power bank can fit anyway and retain its charge for a year without needing to be recharged. 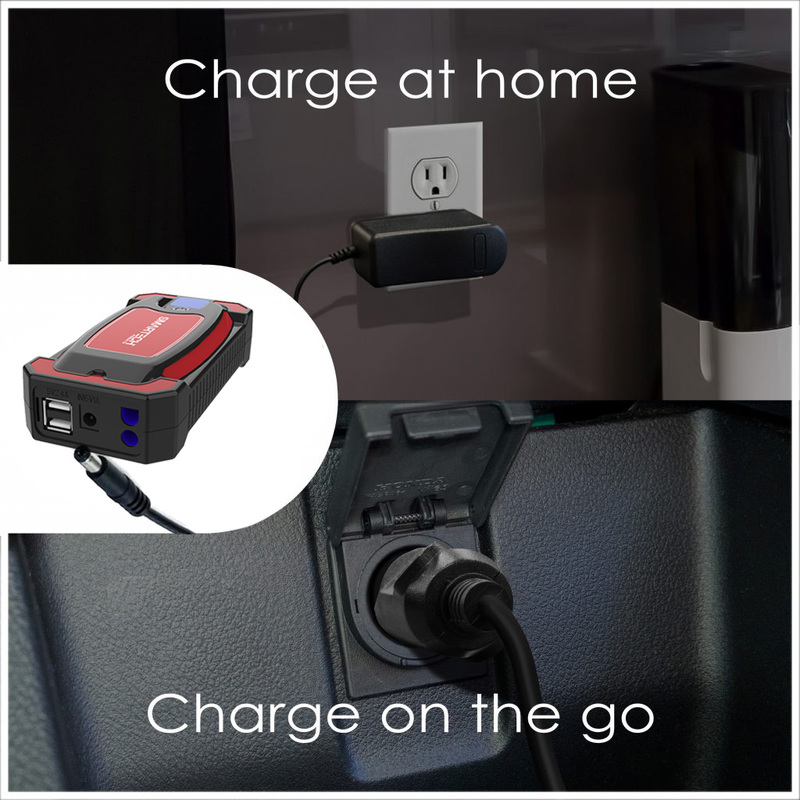 With two USB ports located beneath the water tight cover at the back of the charger, this product is more than capable of charging two phones at once. 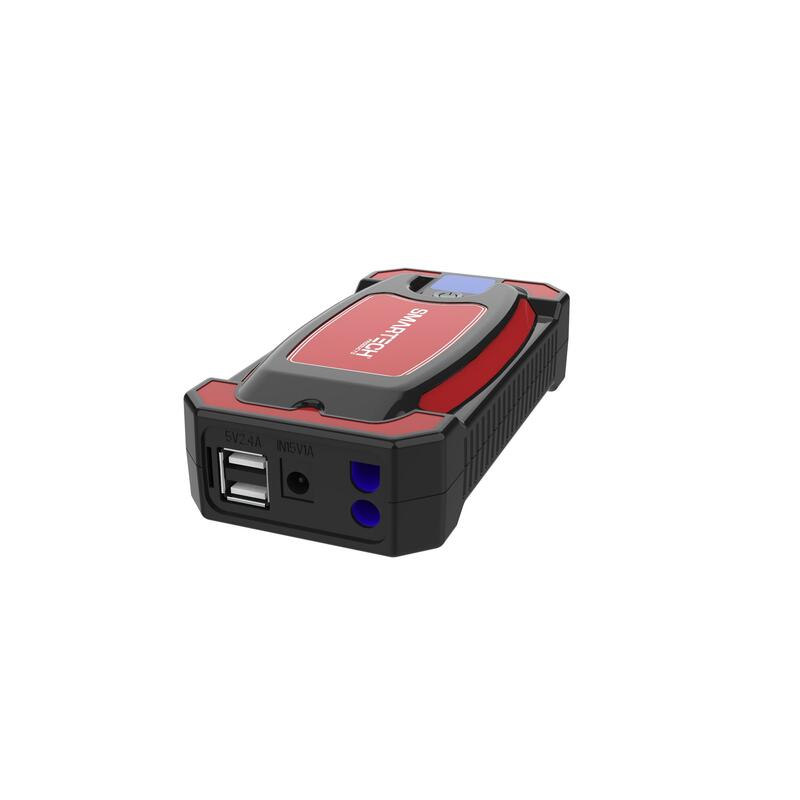 The jump start function on the JS-8000N is simple to use and takes no time at all to deploy. 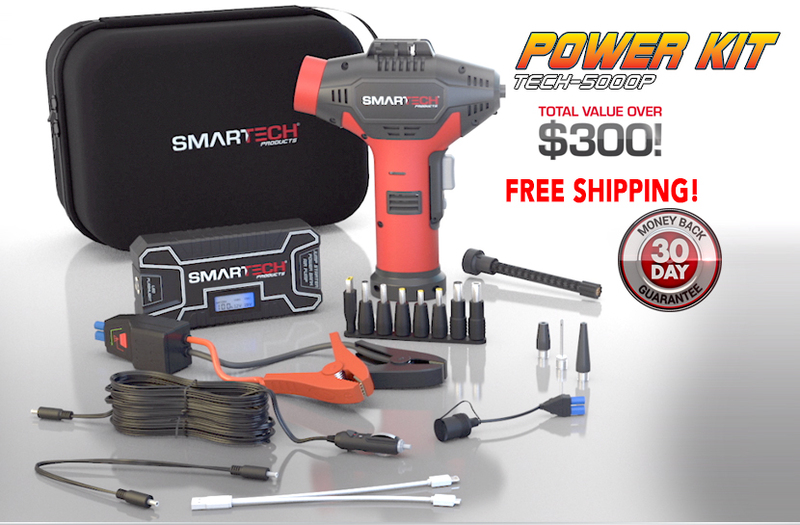 To use it, simply plug the jumper cables into the battery pack, connect the clamps to your battery, and start your car! 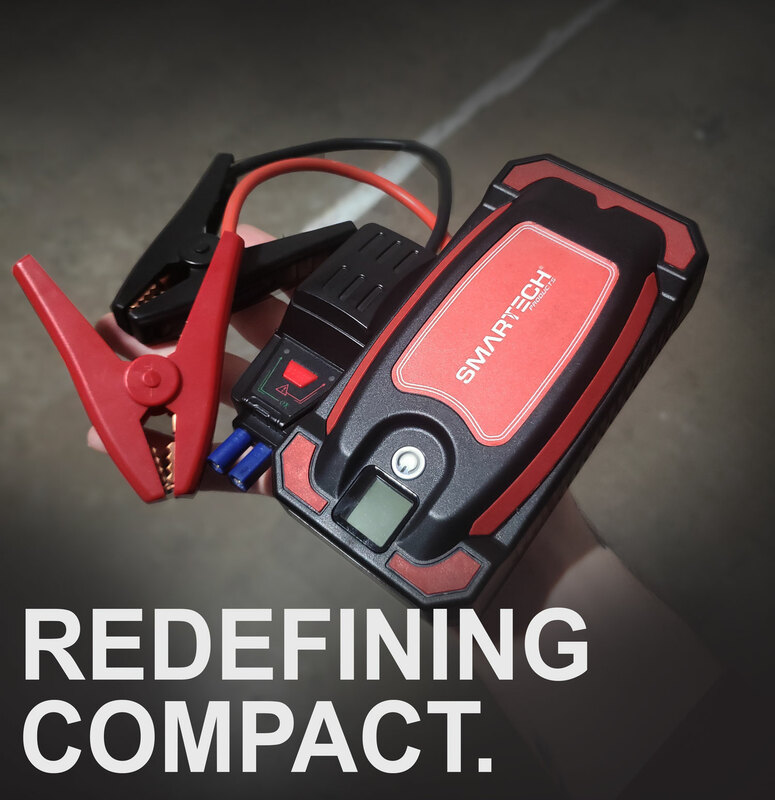 The only thing more convenient than that is the fact that it will jump start a car up to 20 times on a single charge. 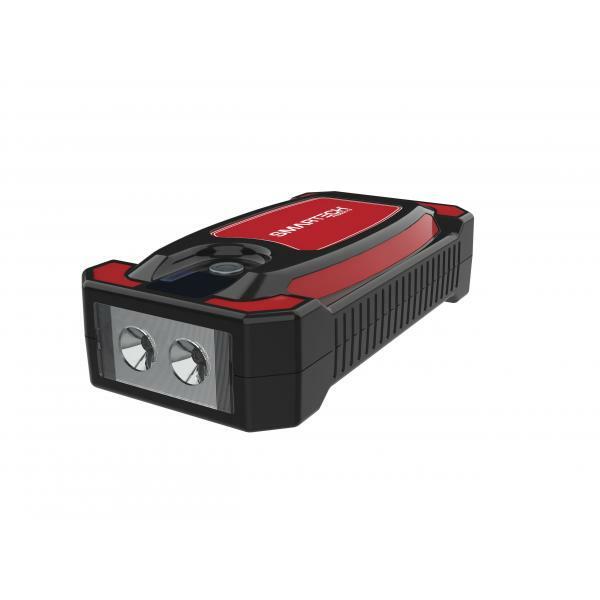 The JS-8000N also features a powerful LED flashlight with 3 modes (HIGH, LOW, and STROBE) to ensure that you are prepared no matter what situation you find yourself in. 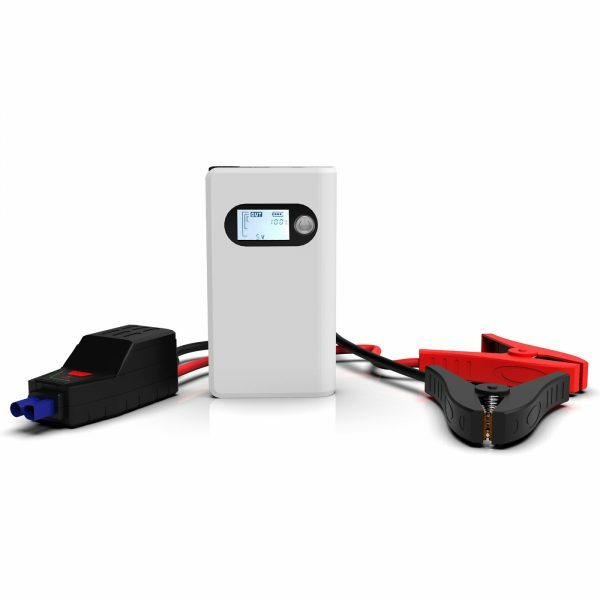 To make it even easier to use, these chargers are equipped with a digital display that clearly illustrates the battery status and output display to let you know how much battery life you have left. 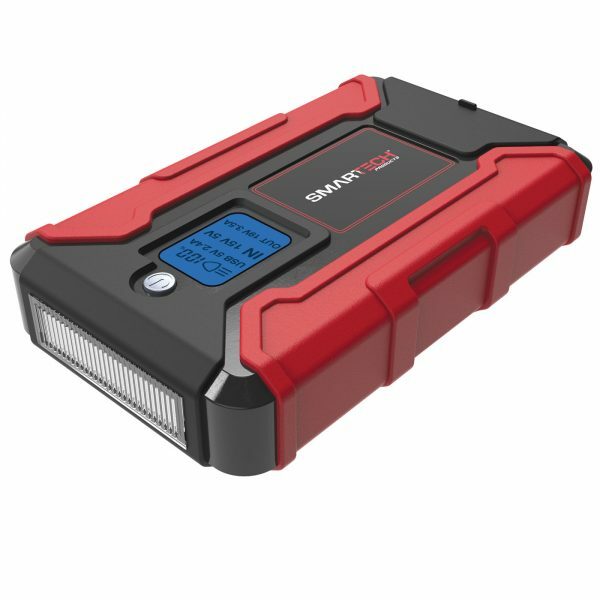 The JS-8000N is designed and built with real-world considerations in mind, so we started with a reliable Lithium battery so it’s ready when you need it, year round. 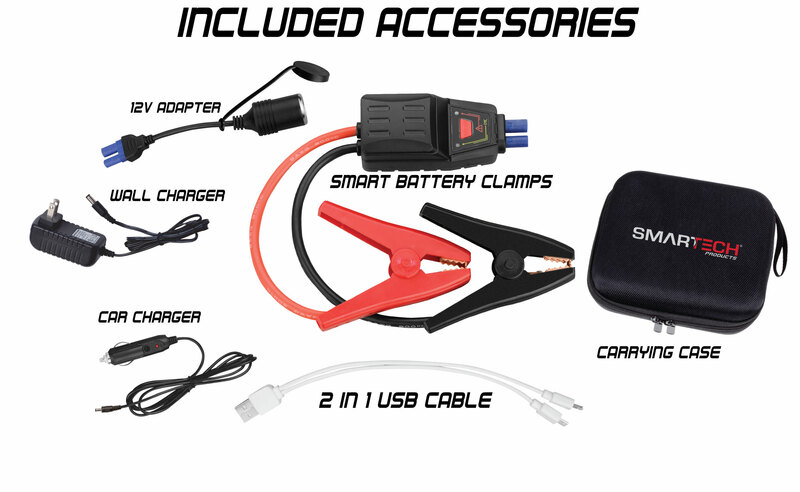 The JS-8000N is a truly versatile roadside tool. 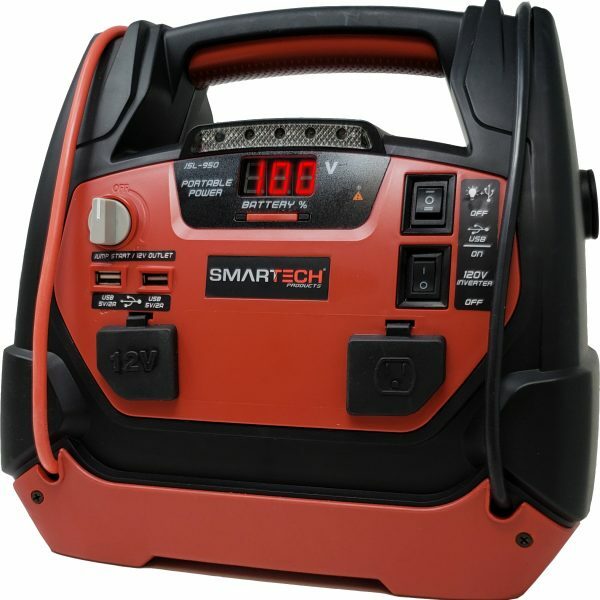 Packed with utility-forward features including a powerful, three watt LED flashlight with three operation modes – solid, strobe, and SOS. 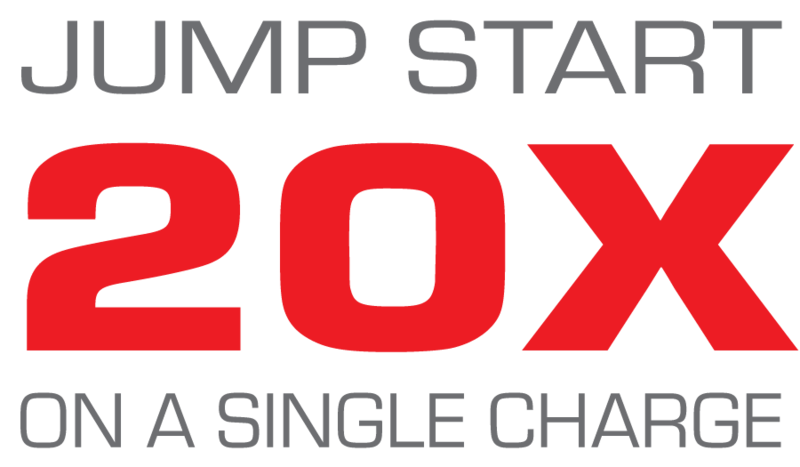 Our powerful, lithium jump starter is capable of jump starting up to 20 vehicles on a single charge and rated for over 1,000 lifetime charge cycles. 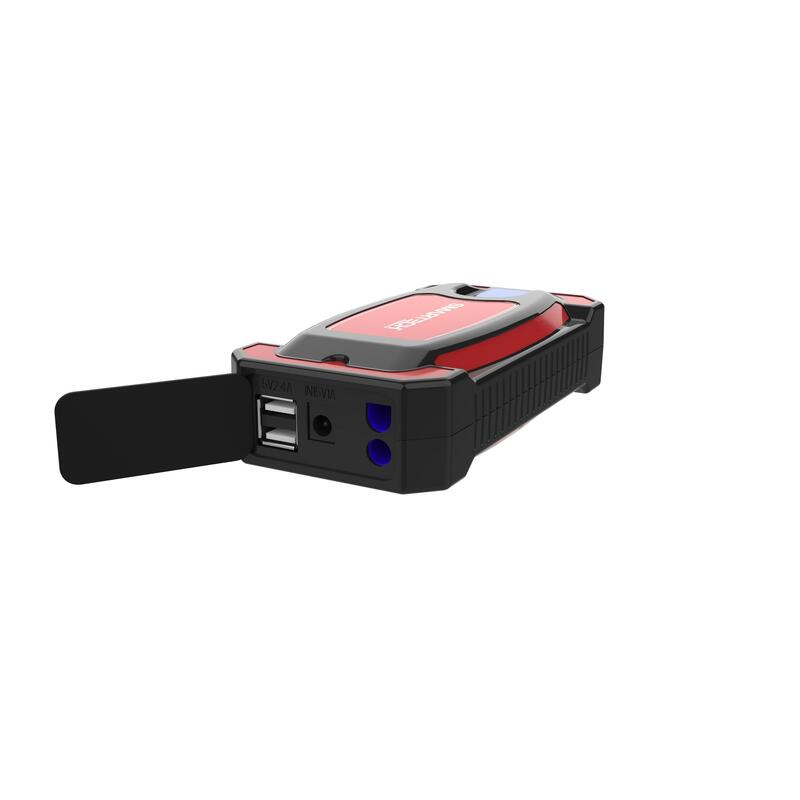 We designed the JS-15000 interface to be comprehensive and easy to understand. 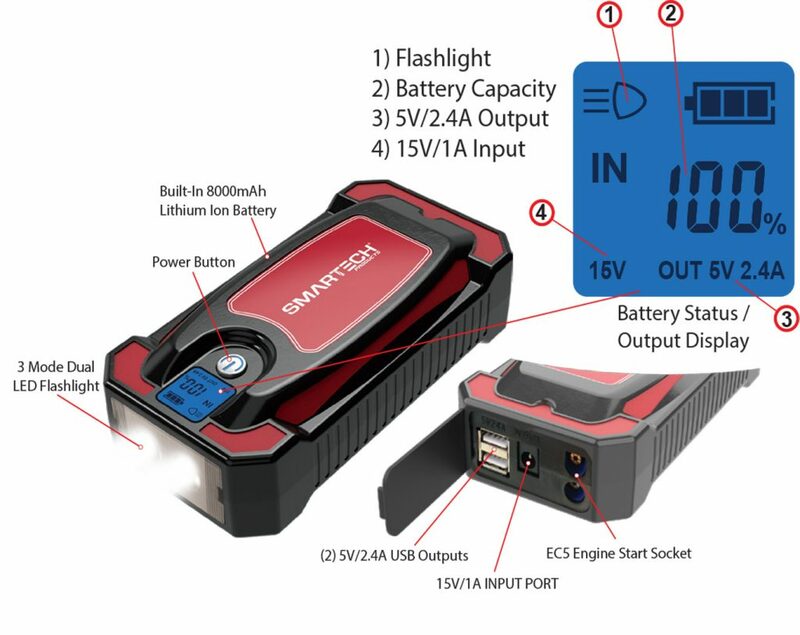 The LED charge level indicator displays the internal lithium battery’s charge level and discharge status. 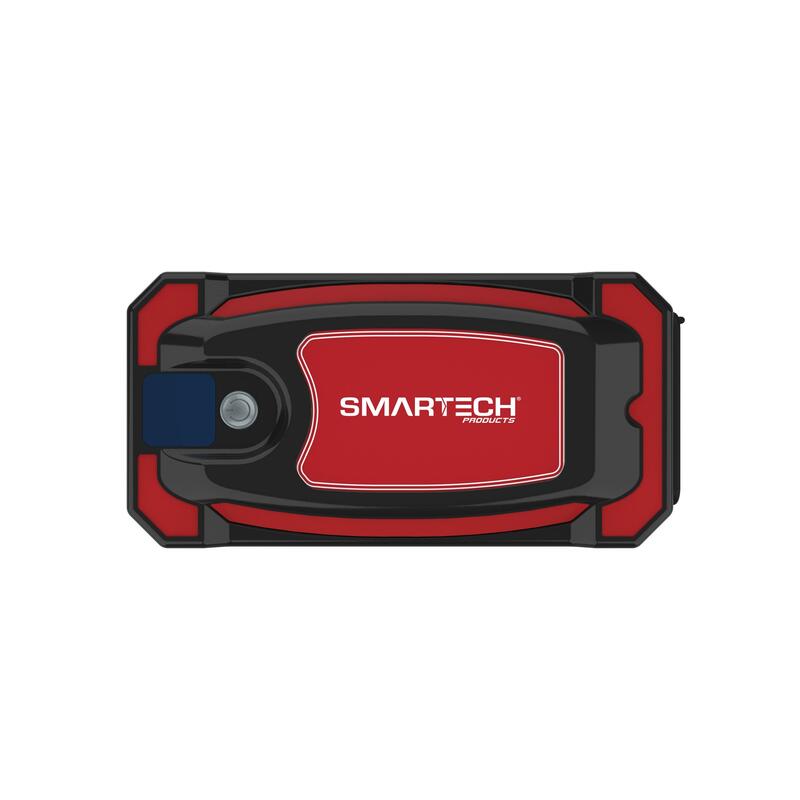 Error indicators on the smart jumper cables show when device is improperly connected in reverse polarity or temporarily disabled for overheating protection. 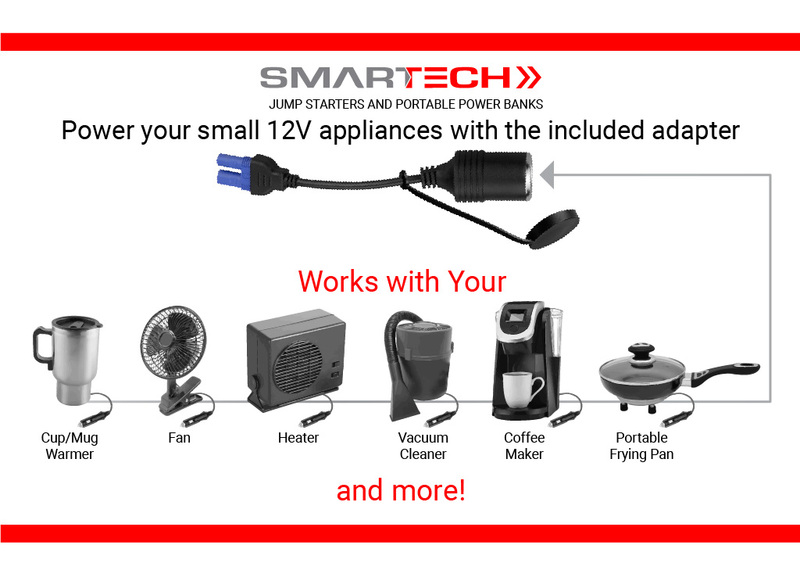 Activate the flashlight, recharge USB devices, or power 12V DC appliances with one button on this all-in-one portable power solution. 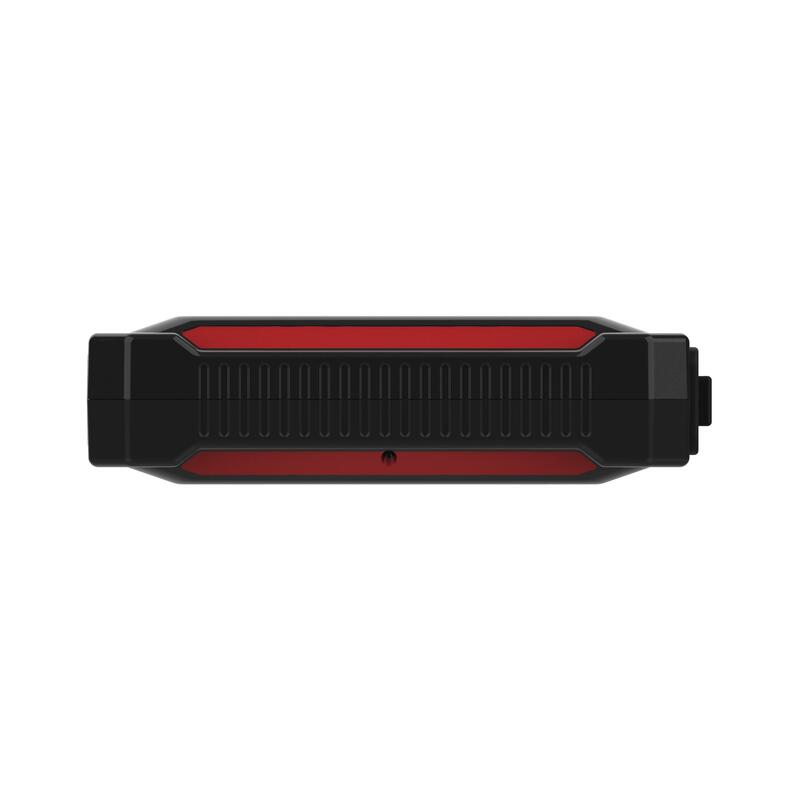 We designed the JS-8000N with your safety in mind, providing a powerful LED flashlight with a variety of modes to cater to a variety of situations one might find themselves in. 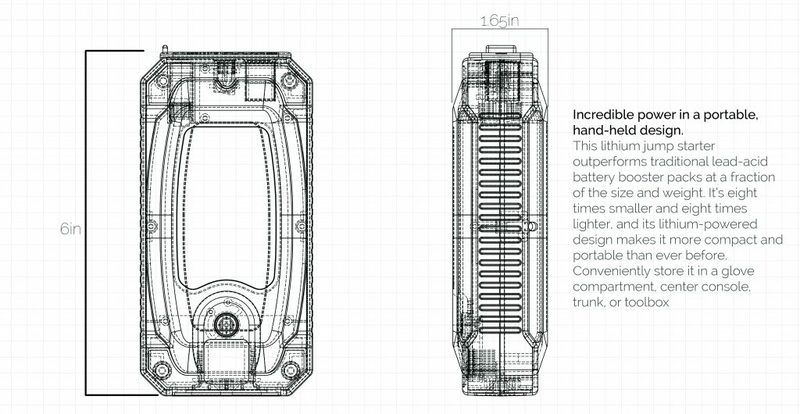 The first is a high output standard beam for any occasion requiring light. 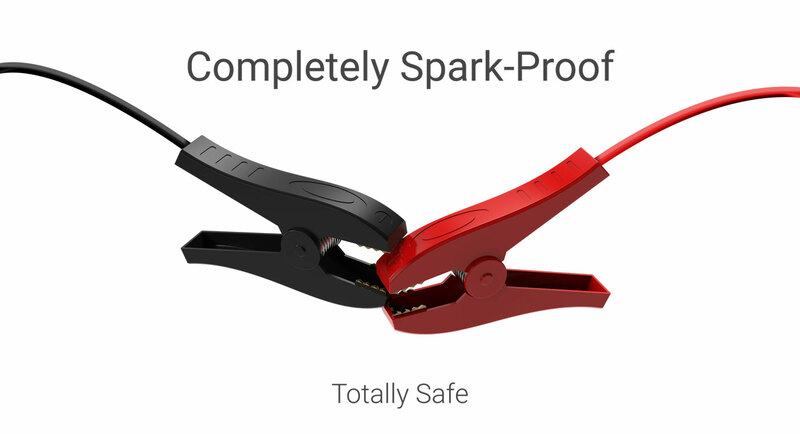 The strobe function is next for grabbing the attention of passerby’s or providing light indication for safety purposes. The third mode, SOS is the mode we never want to have to use but is good to have in extreme circumstances. Never feel left out in the dark with the JS-9000N.